Previous image, 30 total items. Next image, 30 total items. Whether you're planning a quick break or an extended adventure, it's a good idea to know a thing or two about Nelson before setting off. To help get you oriented, Nelson is located 180 miles (290 kilometers) to the southwest of the well-known city of Calgary. Forget the big-name attractions — it's the locals that really make a place tick. In this part of British Columbia, you'll find 10,000 of them. Ridiculous prices will be all yours if you organize your package deal through Travelocity. And don't forget — you can select from upwards of 400 airlines and 665,000 properties. Want a panic-free getaway? Our Customer 1st Guarantee means that you'll have 24/7 personal assistance on all our services. If you somehow stumble upon an even cheaper price on a different website, we'll refund you the difference^. With no scary fees or charges from us, you don't need to stress about unforeseen incidents coming up. And so long as you get in fast, most accommodations won't charge a fee either^. With a nice range of 16 properties available on Travelocity, you can afford to be a little bit picky in Nelson. But, don't forget — the sooner you secure your room, the sooner you can concentrate on planning those incredible adventures. There's no more fitting time to spoil yourself than when you're on vacation. Book a room at the Blaylock's Mansion (1679 HWY 3A) and feel like a VIP during your stay. Watching your budget? Don't worry, you won't be left in the cold. 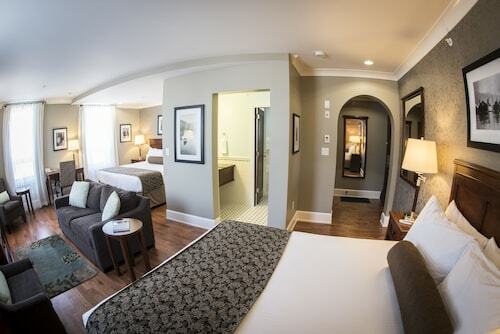 The Mountain Hound Inn (621 Baker St) will keep you and your savings account happy. Where do you fly into for Nelson? Slip on your headphones and pick an in-flight movie. Before long, you'll arrive at Castlegar Airport (YCG). 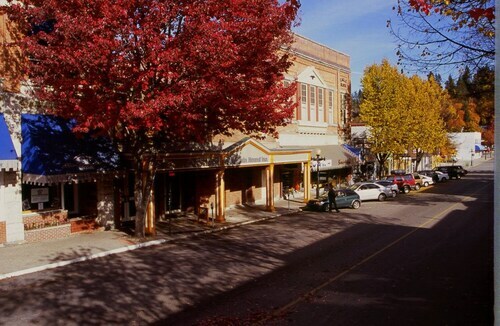 It's approximately 20 miles (32 kilometers) to the southwest from the middle of Nelson. Can I rent a car in Nelson? Forget waiting for buses and trains. Search up your car rental options via Travelocity and get the most out of your visit to Nelson. After being cooped up in a cramped cabin all day, nothing feels as good as climbing behind the wheel. If you're flying into Castlegar Airport, pick up your car from Budget, at Highway 3A R.R. Number 1. Budget is located in the center of the city at 701 Lakeside Drive. If you have plans to stay nearby, this is the way to go. Getting out on the green is a fantastic way to stretch your legs and have a real blast. Challenge your skills with a friendly round at Granite Pointe Golf Club. Want some more options? Fancy a bit of fun on the water? Then rub on the sunblock and plunge into some heart-pumping water sports at Nelson Whitewater Rafting Co. And that's not all. Baldface Lodge isn't merely a place to stay — it's an extraordinary experience. This peaceful retreat combines all the amenities and comforts you're looking for with outdoor thrills and adventure. If you have explored the best of Nelson with time to spare, don't panic! 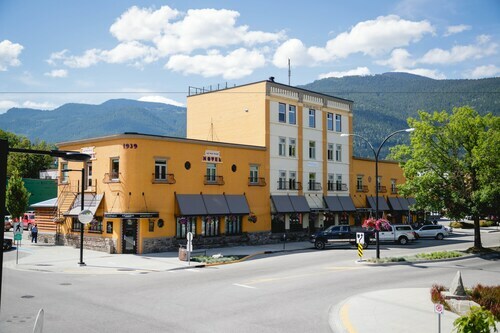 Just 20 miles (32 kilometers) away is Castlegar, and there's so much here that you certainly won't be bored. The Castlegar Golf Club is the perfect place to start discovering the culture of the area. The Kootenay Gallery and the Doukhobor Discovery Centre shouldn't be missed either. Situated 20 miles (32 kilometers) away, Salmo is another favored destination. If you come here, be sure to check out Erie Creek Provincial Park, Salmo Park and Rope Tow. 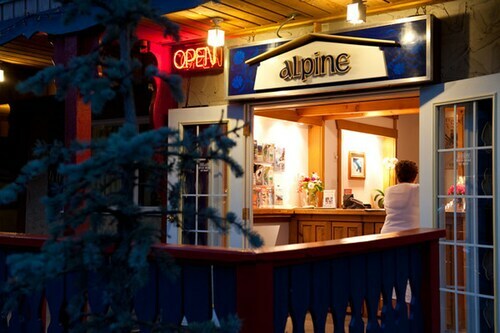 Located in the heart of Nelson, this spa hotel is steps from Touchstones Museum and Baldface Lodge. Nelson & District Community Complex and Cottonwood Falls Park are also within 15 minutes. Situated in Nelson, this eco-friendly hotel is within a 10-minute walk of Baldface Lodge, Cottonwood Falls Park, and Touchstones Museum. Nelson & District Community Complex and Lakeside Park are also within 2 mi (3 km). 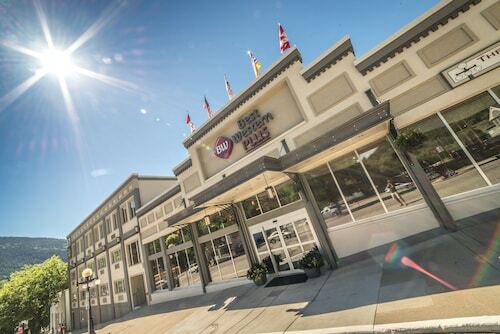 Located in the heart of Nelson, this spa hotel is within a 10-minute walk of Nelson & District Community Complex, Touchstones Museum, and Baldface Lodge. Lakeside Park and Cottonwood Falls Park are also within 1 mi (2 km). Situated in Nelson, this eco-friendly hotel is within a 15-minute walk of Lakeside Park, Nelson & District Community Complex, and Touchstones Museum. Baldface Lodge and Cottonwood Falls Park are also within 1 mi (2 km). Conveniently located near the ski slopes, this Nelson motel is within 1 mi (2 km) of Baldface Lodge, Granite Pointe Golf Club, and Cottonwood Falls Park. Touchstones Museum and Nelson & District Community Complex are also within 1 mi (2 km). Located in the heart of Nelson, this hotel is within a 5-minute walk of Nelson & District Community Complex and Baldface Lodge. Cottonwood Falls Park and Lakeside Park are also within 1 mi (2 km). 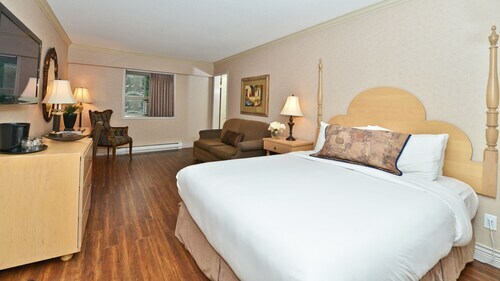 Situated in Nelson, this hotel is within a 5-minute walk of Touchstones Museum and Nelson & District Community Complex. Baldface Lodge and Cottonwood Falls Park are also within 15 minutes. 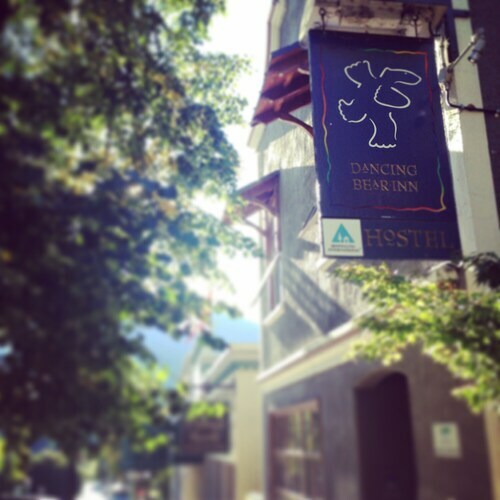 Situated in Nelson, this hostel is within a 10-minute walk of Baldface Lodge, Touchstones Museum, and Cottonwood Falls Park. Nelson & District Community Complex and Lakeside Park are also within 2 mi (3 km).